Neither New Zealand nor Bangladesh have a win on the board after the first two rounds of Group A matches but the winners of their clash in Cardiff will be through to the semi-finals if England beat Australia on Saturday. That chance to apply significant pressure to the Aussies should focus the minds of both sides and New Zealand are 2-5 to be sitting in second place by the end of the day. The Kiwis were bossing their game against Australia when the rain came but they were disappointing with the bat against England, crumbling from 158-2 to 223 all out. Their batting looks brittle below the top four, with a lower order full of one-dimensional hitters, but Bangladesh may not have the bowlers to test that batting depth. The Tigers have taken just three wickets in their first two games – England chased down 306 for the loss of only two batsmen while Australia were cruising to victory at 83-1 when the rain saved Bangladesh at The Oval. The prize wickets in both batting line-ups are pretty obvious – Bangladesh opener Tamim Iqbal made 128 against England and 95 out of 182 against Australia while Kane Williamson has looked in magnificent touch for New Zealand. Williamson is 11-4 to top-score for a third game in a row and there is no reason to desert the Kiwi captain at those odds. He made an even 100 before being run out against Australia and had sauntered to 87 against England in Cardiff when Mark Wood’s sharp bounce had him caught behind. Williamson seems to relish batting in British conditions. His first one-day innings in England ended with a duck at Lord’s but since then he has made two centuries and six fifties in just 12 innings and his last eight scores have been 87, 100, 50, 90, 118, 93, 45 and 67. His final warm-up innings before this tournament was a 60-ball 88 against Sri Lanka and, having thrived against two of the strongest bowling attacks in the tournament, he should cash in against Bangladesh. 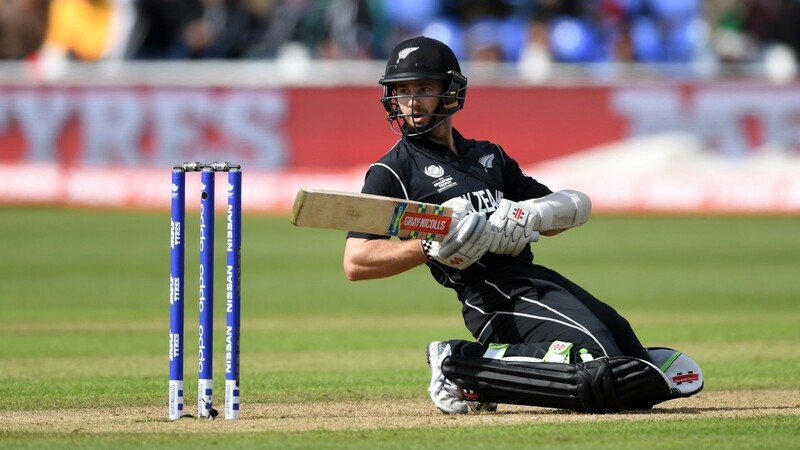 New Zealand seemed unhappy with the uneven bounce at Sophia Gardens on Tuesday but it looked as though England’s bowlers simply read the pitch better than the Kiwis. It wasn’t a belting batting surface but England still passed 300 – like the previous three teams batting first in Cardiff ODIs – and there shouldn’t be a repeat of New Zealand’s game in Cardiff four years ago when they bowled out Sri Lanka for 138 and won by only one wicket. Coach Mike Hesson suggests there won’t be major changes to the New Zealand middle order, despite two disappointing collapses, and spinner Jeetan Patel is unlikely to force his way into the 11. Bangladesh brought in spinner Mehedi Hasan for the washout against Australia and the Tigers could stick with the same side. After heavy rain for much of the week, the forecast is better for Cardiff with light cloud, sunny intervals and highs of 17C.